Robert Woods has 20 years of experience in the mental health field including specialties in child and adolescent psychotherapy; parenting of attention deficit hyperactivity disordered (ADHD) children and behavior problem children; as well as treatment of individuals with substance abuse problems. His private practice and very diverse clientele provides a broad perspective which is beneficial to both individual patients and in his role as Executive Director. Mr. Woods received his graduate degree in Counseling from Texas Southern University, and his undergraduate degree in Therapeutic Recreation from Grambling State University. He is also well known for the three years he played with the Houston Oilers. Playing football, including his four years in the NFL, taught Robert Woods that teamwork and a great coaching staff leads to success on and off the field. Marylou Erbland, PhD, Clinical Director is an intensively trained Dialectical Behavior Therapy (DBT) psychotherapist specializing in clinical neuropsychology, including testing and cognitive rehabilitation. Dr. Erbland has worked extensively with children and adolescents, as well with their families, who are struggling with oppositional defiant and conduct disorders, depression, anxiety disorders, and post traumatic stress disorder. She has also developed a program of group therapy and education for attention deficit disordered students and their parents. A licensed psychologist with 25 years of private practice experience, Dr. Erbland is a graduate of Akron University in Akron, Ohio, where she received her PhD in psychology, as well as two Masters Degrees in Special Education and School Psychology. Her post-doctoral fellowship in neuropsychology was completed at the University of Texas Southwestern Medical Center at Dallas. Marylou gets a sense of peace and enjoyment in touring art galleries, events and openings, especially for local and regional artists. Supporting historic homes and their neighborhoods through local organizations and events is also one of her passions. 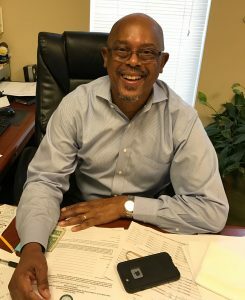 Karl Webster, EdS, Administrative Director, is a Licensed Child-Care Administrator with over 35 years of experience in the field of counseling and treatment. Mr. Webster’s experience ranges from direct client care to program design and management. 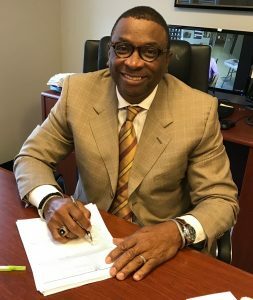 He has worked in such varied areas as child abuse and neglect; substance abuse counseling; career counseling and testing; and vocational rehabilitation. Mr. Webster completed his graduate studies in Counselor Education at the University of Florida. As one of the founders of TCSI, Karl has played an integral role in making a difference in the lives of teenagers and their families for 12 years. Marc Elliott serves as Director of Clinical Services and as a psychotherapist for Center for Success and Independence. He is a Licensed Child Care Administrator and has worked in adolescent residential treatment since beginning his professional career in 2005. With valuable administrative and clinical experience, Marc joined the TCSI team in January 2011 to further the goals and purpose of The Center for Success and Independence. Marc earned his bachelor’s degree from University of Mississippi in 2001 and moved to Texas to attend graduate school at Stephen F. Austin State University. Marc became a Licensed Professional Counselor in 2010. He enjoys working with adolescents and their families with a variety of difficulties and backgrounds. Sharon Dearman serves as Director of Marketing and Development for the Center for Success and Independence.